Born in Paris, France in December 1854 to French-Italian parents, with the name Eugene Galiany. He later changed it as a tribute to his teacher Charles Laloue whom he studied with in 1877. During the early part of his career as an artist Galien-Laloue took on several pseudonyms because of an exclusive contract with a major gallery. These pseudonyms included L. Dupuy, J. Lievin, Lenoir and E. Galiany, all of which are listed in the E. Benezit Dictionnaire des Peintres, Sculpteurs, Dessinateurs et Graveurs and the Laloue Catalogue. He received his first training as an architect which helped Galien-Laloue with popularizing the subject matter of Paris street scenes and his very natural rural landscapes. Since the camera could not accurately record motion, and perceived only black and white, Laloue's paintings were in a sense picture postcards for the public, and they were highly prized by both tourists and the townspeople. His attention to detail accuracy of perception, reproduction of architecture, clearly set him above other street scene painters. The country of France also selected Laloue to work as a military illustrator, capturing both the Franco-Prussian and the WW I in watercolor. These very rare paintings exhibit Eugene Galien-Laloue's true genius. Laloue rendered the uncompromising beauty of life in France, depicting popular monuments, structures, villages and Harbors recognized throughout Europe. He is considered to be one of the foremost Parisian street scene masters in the field of impressionism. For over five decades his art has dominated those of his contemporaries in both quality and price. His paintings stand as a landmark in art history. His work can be seen at the Musée des Beaux-Arts, Louvier; Musée des Beaux-Arts, La Rochelle;Mulhouse, France. 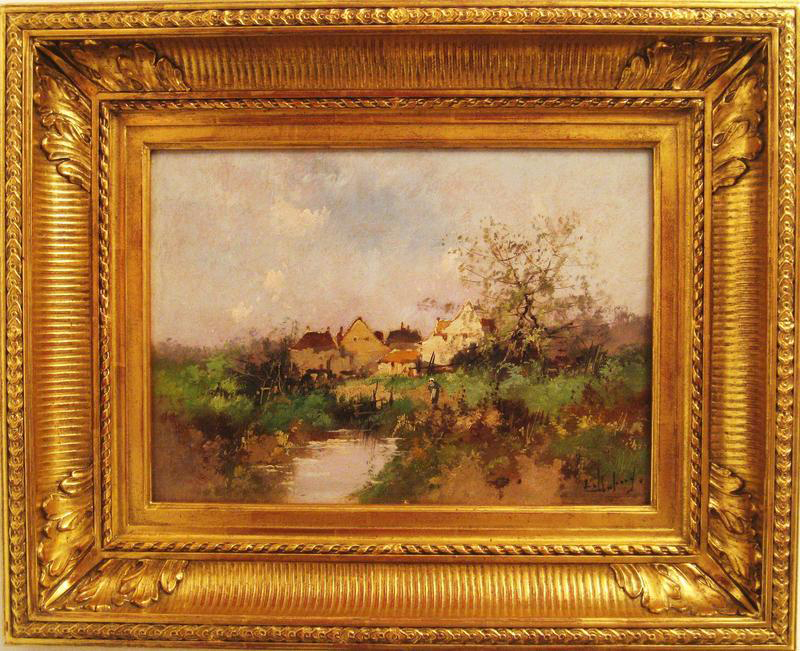 Galien-Laloue has inspired and influenced many artists, including renowned French impressionists Edouard Leon Cortes and Antoine Blanchard.